“Two bills on employee stock ownership plans (ESOPs) have passed without dissent in the Small Business Committees in the House and the Senate,” writes Lee Barney in Plan Sponsor. Both bills, he adds, have bipartisan sponsors. As NPQ has covered, over two million baby boomer business owners are expected to retire in the next 10-to-15 years and hundreds of thousands of these businesses lack clear succession plans, putting millions of jobs at risk. In many cases, selling businesses to employees is a solid strategy for both sharing the wealth of business ownership while preserving community jobs. The business world is increasingly taking notice. Last week, NPQ reported on four different businesses that are converting to employee ownership in four states. Earlier this month, Rutgers University launched the Rutgers Institute for the Study of Employee Ownership and Profit Sharing to bring university programs on employee ownership together under a common roof, with a focus on identifying ways to address economic inequality using employee ownership and ways to build a more inclusive economy for workers. 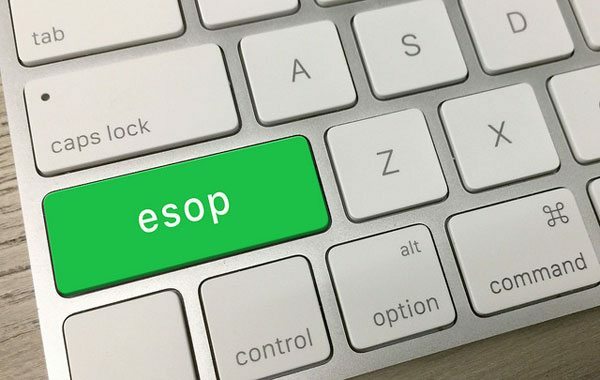 Nationally, as of 2014, there were 6,717 ESOP-owned companies in the United States, with over 10.5 million employee-owners. For its part, in the House of Representatives, the House Small Business Committee passed the Main Street Employee Ownership Act (HR 5236). Bill sponsors include Rep. Nydia Velazquez (D-NY), with a friendly amendment from Rep. Steve Chabot (R-OH). “Senator Kirsten Gillibrand (D-NY) initially developed the concepts behind the bill,” writes Barney. The bill, Barney explains, makes it easier for the Small Business Administration (SBA) to help ESOPs by allowing the SBA to make loans to intermediaries that can turn around and make smaller loans available to ESOPs or worker cooperatives. It also allows loans to employee-owned companies to be made under the SBA’s preferred lender program. The bill would also enable SBA to waive the requirement for a personal guarantee. While the requirement works when a single owner can pledge collateral, it is not workable when there are a large number of owners who all own small shares of the business. In the Senate, the Small Business Employee Ownership Promotion Enhancement Act of 2017 (S. 1538), introduced by Gary Peters (D-MI) and James Risch (R-ID) was approved unanimously by the Senate Committee on Small Business & Entrepreneurship. The bill, notes Barney, “directs the Service Core of Retired Executives (SCORE), an SBA outreach program, to promote employee ownership by appointing an individual to serve as the SCORE Employee Ownership Director.” The designated person will be responsible for “administering and disbursing materials that contain general information and technical assistance with respect to the establishment of employee ownership structures and coordinating efforts with respect to employee ownership with the chapters of SCORE located throughout the United States,” Barney adds. The world of work is changing—and not in the direction of greater equity. However, employee ownership provides a pathway for addressing many of the challenges of current workplace trends like the automation of work and the shift to a gig economy. If people own their jobs, then they have the leverage necessary to create more stable employment.